Pratham Books (www.prathambooks.org) is a not-for-profit children's book publisher that was set up in 2004 to publish good quality, affordable books in many Indian languages. Our mission is to see ‘a book in every child’s hand’ and we have spread the joy of reading to millions of children in India. As a publisher serving every child in India, Pratham Books has always pushed the boundaries when it comes to exploring innovative ways in which to create access to joyful stories and have been fortunate in finding partners to collaborate with who share this vision. 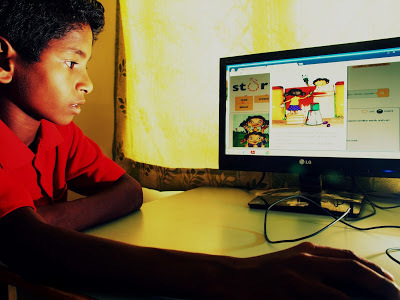 In 2015, Pratham Books' increased its footprint by going digital. As an industry leader, we were one of the first publishers in the country to open license our content. All this content is now available on StoryWeaver, which is a digital platform that hosts stories in languages from India and beyond, so that every child can have an endless stream of stories in her mother tongue to read and enjoy. The stories can be read, translated, versioned or downloaded for free. All stories on the platform are openly licensed. The role involves developing and implementing strategic engagement initiatives by building and sustaining relationships with multiple stakeholders, and advocating the brand across a variety of social networks. Responsible for all social media for StoryWeaver handles.